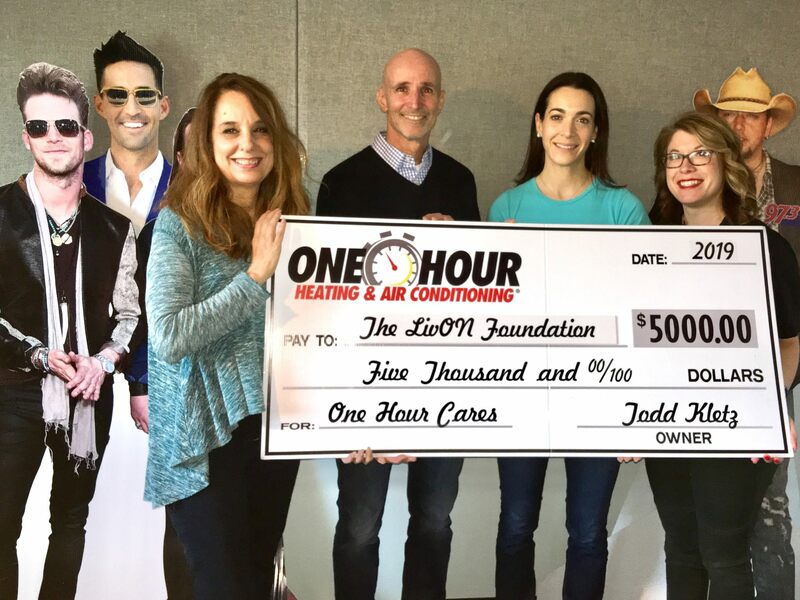 LivON was selected as this quarter’s winner for a $5,000 donation from One Hour Heating and Cooling (https://www.onehourcares.com/). LivON is currently supporting 7 patients and this donation will make a significant impact in their financial burden from treatment, time off of work, and travel. Thank you again One Hour Heating and Cooling!